"In The Hardness Scale, gestures and words we recognize as being of our world pour over immediately, through some new angle of perception, into another world, unpredicted and mysterious. This is made believable by a language that is always natural, the sound and rhythm of thought. Joyce Peseroff's brand of realism gives us back our lives transformed." Poet and editor Joyce Peseroff grew up in the Bronx. She earned a BA at Queens College and an MFA at the University of California at Irvine, where she studied with Donald Justice. She began a lifelong friendship with poet Jane Kenyon in 1973, when Peseroff entered the University of Michigan’s Society of Fellows. In 1977, after both poets had returned to the Northeast, Peseroff and Kenyon co-founded the literary magazine Greenhouse. Peseroff is the author of several collections of poetry, including The Hardness Scale (1977, reissued in 2000), Mortal Education (2000), Eastern Mountain Time (2006), and Know Thyself (2015, Carnegie Mellon Poetry Series). 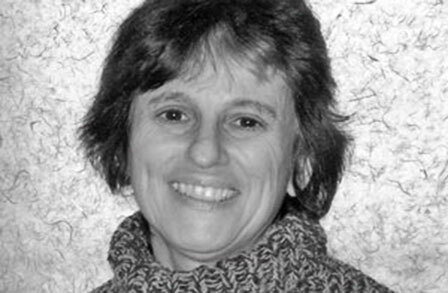 She has served as an editor for Ploughshares and edited The Ploughshares Poetry Reader (1987), Robert Bly: When Sleepers Awake (1984), and Simply Lasting: Writers on Jane Kenyon (2005). Her honors include grants from the National Endowment for the Arts and the Massachusetts Artists Foundation as well as a Pushcart Prize. Peseroff lives in Lexington, Massachusetts, and teaches at the University of Massachusetts Boston.